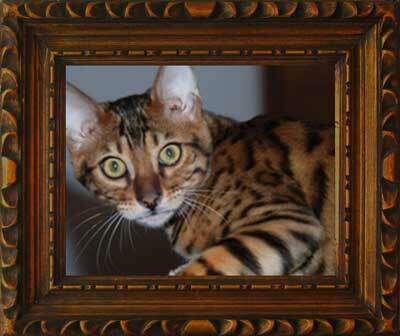 We are a small in-house cattery, specializing in the bengal cats and kittens. We are located in the beautiful Texas hill country, just north of San Antonio and south of Austin in the beautiful New Braunfels Hill Country. Bengal cats are a cross between the Asian Leopard cat, a true Jungle cat and a domestic cat. They are beautiful and exotic looking as well as intelligent. We breed Bengal to Bengal, SBT, “Stud Book Tradition”. This is The International Cat Association “TICA”’s definition for a purebred cat that has three previous generations of the same breed to same breed mating pedigree. Bengal male cats (studs) are muscular and usually weigh between 12 to 18 lbs. Female Bengal cats (queens) range of weight from 7 to 12 lbs. Coat patterns of the Bengals can vary from spots to rosettes, which can come in a pattern known as arrowheads, doughnuts, clusters or paw prints. These are the brown spotted variety with gold or green eyes. 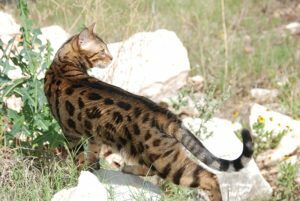 Bengals can have many variations from Marbles, an exciting swirls patterns of one or more colors and the Seal Point Lynx Snows that are a milk cream coat with spotting/rosettes and beautiful blue eyes. Bengals kittens are intelligent as well as beautiful, they each have their own personality. As they grow this develops. We spend time with each and every kitten. They are very busy and active, some love to play in the water and drop their toys in it and the next minute they are in your lap purring. Some have been leashed and harness trained, it is up to you to spend the time to educate and love your Bengal kitten. We breed to obtain the most desirable traits for the Bengal standard. For beauty and temperament. We give every Bengal kitten personal attention and socialization. We have sold our Bengal Kittens in Austin, San Antonio, San Marcos, Laredo, El Paso to Houston, much of the state of Texas. 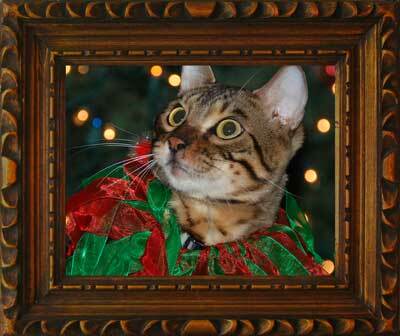 We also have shipped our bengal kittens to all over the United States. Feel free to browse our Bengal kitten page, we will post new arrivals and let you know when litters are expected. We are also on Jungleyesbengals Facebook we post constant updates of our new Bengal kittens and our regular family of Bengals in their everyday antics. 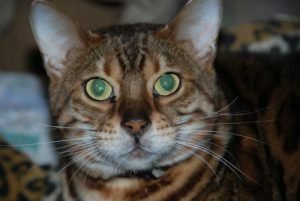 We occasionally have older Bengal Cats that have been rescued from others or retired Bengal cats that are in need of a home. There will still be an adoption fee and interview with prospective clients. Thank you for your interest in our Amazing/Intelligent/Gorgeous Bengals. We look forward to being ” Your Bengal Family Friend”.